Android Pie is ready to look after your digital health, but only if you let it. The suite of features that were announced as part of Digital Wellbeing at I/O 2018 finally came to life when Pie 9.0 was released earlier this week, but you had to sign up for them, wait for an email, and then join the beta to get them on your device. Now, the process is much faster. If you're running Android Pie on your phone — so if you own a Pixel or an Essential Phone — you can simply head over to the app's official Play Store beta sign-up page, click to become a tester, and the app should update on your phone and trigger the new menu under Settings. No more waiting for an email or grabbing an APK. 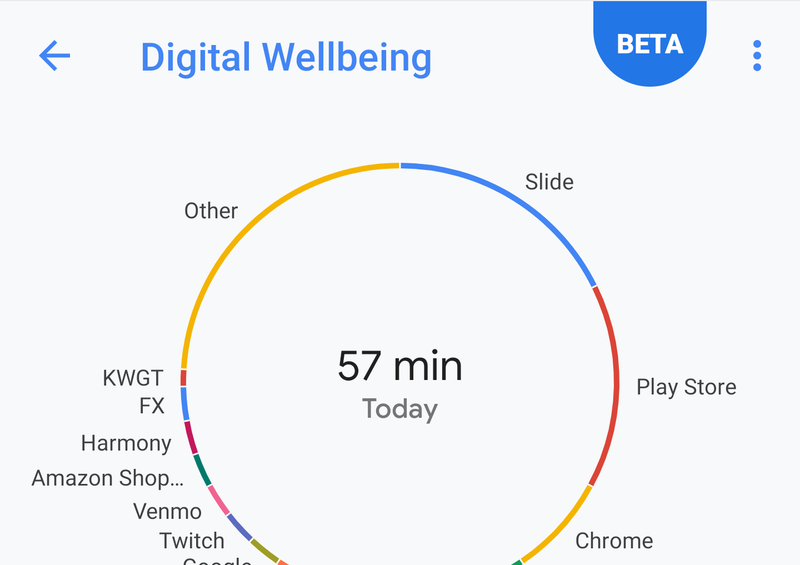 Digital Wellbeing brings a dashboard to observe your app usage, an app timer to limit how long you spend mindlessly scrolling or swiping or watching, and a wind-down mode that turns your display grayscale at night to help you disconnect and get ready for sleep. Ryne has already taken a look at Digital Wellbeing but we will have to wait for long-term use to see how well it can help us manage our smartphone usage.